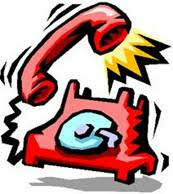 Today we want to talk about SOLUTIONS, namely phone solutions and 24 hours call answering service. “Crisis Hotline” for your business, what does it mean? Today we have ultra quick and abundant flow of information everywhere. End consumers and users will react immediately as soon as any news or rumours about a certain product appear. In such a case people always demand transparent and reliable information and the company or brand concerned is obliged to give quick response. A widely consumed product (food, cleaning, personal care etc.) turns out to be deficient and buyers address the manufacturer or seller to get information. Enterprises are each time better prepared to face heavy loads of “comments” in their social networks. The phone lines, however, usually collapse. And this is what most probably will even further damage the brand image and give rise to an image crisis in social media. Should we manage this setback through social networks only? Would a response through Facebook, Twitter, Google+ etc. be enough? This is where a Crisis Hotline should get into action, the 24 hours phone solution offered by Teléfono Permanente, which helps resolving an emergency situation that requires on the spot exceptional means. In shortest time we shall have our team of phone agents prepared (of course we count on the necessary technology equipment) and will be ready to activate the specific service required, assuring call answering service to massive incoming calls. In fact several companies hired the service of Teléfono Permanente as business partner to guarantee beforehand efficient call answering service in situations of this kind. Download here our Information Folder.